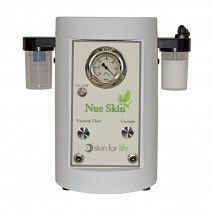 Nue Skin 100 Standard has a modern design with a simple approach to microdermabrasion. 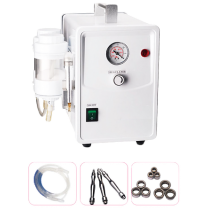 This two canister system is easy to use, and includes manufactured hand pieces from Skin for Life that are specifically designed to give a thorough performance application. Blue hand piece is an excellent way to perform a general microdermabrasion, or as preparation for other cosmetic services. Red hand piece is target specific, this is a progressive hand piece that targets wrinkles, fine lines, and scarring in localized skin areas. 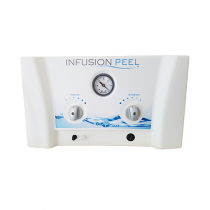 Genesis Infusion Peel Microdermabrasion + Infusion - cool and soothing treatments that deliver remarkable results. Estheticians often say: “If your skin-care routine doesn’t include microdermabrasion, you are not properly caring for your skin”. Microdermabrasion is that magic skin care treatment that is essential for healthy-looking, glowing skin. Microdermabrasion comes first and before everything else and there is a good reason for that – for your skin to absorb creams and serums and react to other beauty treatments it needs to be properly cleaned. Microdermabrasion facial machines freshen and rejuvenate the skin, by gently abasing the surface and removing the dead skin cells and make-up pile-ups, leaving your skin bright and polished. That's why microdermabrasion equipment is a must-have of every beauty salon. Salon microdermabrasion machines, as well as the ones for home-use, exfoliate the outer layers of the skin cells. The whole procedure is essentially aimed at skin resurfacing by removing the dead skin cells layer and vacuuming them away. It is completely painless and non-invasive treatment. It’s a never-fail procedure that always delivers instant results: when all of the build-ups is removed the layer of new skin is revealed. Our body reacts to this treatment as it would to injury: the glowing polished skin is provided by the new cells that replaced the ones that were vacuumed away. 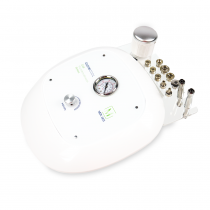 Of course, the microdermabrasion devices operated by professionals are more powerful and offer greater results, but if you would want to maintain those results, you should really think of buying personal microdermabrasion machine for sale - the microdermabrasion machine for home use. 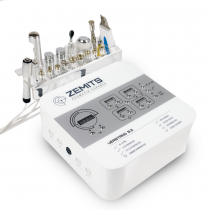 What Are the Benefits of Using the Microdermabrasion Machines? Glowing, healthy-looking skin. Dry and flaky skin is explained by the dead skin cells pile up. We apply a lot of product on our skin, it is literally one of the biggest industries in the world, so for sure we use a lot of makeup. Unfortunately, you cannot remove all of the make-up no matter what products you use, studies show it piles up and clogged the pores. Microdermabrasion treatment removes all the dirt and making the skin glow. No Acne. Pimples and breakouts arrive because we have clogged pores filled with oil and bacteria that produce pus. 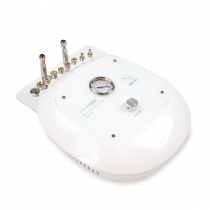 By unclogging the pores microdermabrasion heals the inflamed skin. Safe for everyone. The treatment is recommended for all skin types and even for people with skin conditions, such as acne. No allergic reactions were documented and there are no side effects. There are a few medical contradictions such as bacterial or viral skin infections and diabetes. Activates your masks, creams, and serums. The new skin layer that is revealed after microdermabrasion can actually absorb your creams and serums. Clogged poser obstruct any product penetration. Battles wrinkles and reduces under-eye bags and puffiness. Abrasion actually stimulates the blood flow and hydrates the skin which is essential for making the wrinkles less visible and the puffiness nonexistent. No recovery time. The treatment can be scheduled for any time convenient for the client. There is no preparation, no downtime and no need to find the time for recovery. You can offer your clients to come in before work or make an appointment during the lunch break. Here at Advance Esthetic! Got some questions? Feel free to contact us!